The press welded Steel Grating , requested by the customers, is made of load flat steel bar and cross bars, placed horizontally and vertically , and at an equal pitch apart , by welding with 200-ton hydraulic resistance automatic welding equipment , then cutting, punching and banding ends. Loading bearing steel bar pitch: pitch between the two neighboring load bearing steel bars is 30mm, or40mm. Cross bar pitch: pitch between two neighboring cross bars is usually 50mm or 100mm, Special specification ca be done according to your request. Looking for ideal Galvanized Serrated Steel Bar Gratings Manufacturer & supplier ? We have a wide selection at great prices to help you get creative. 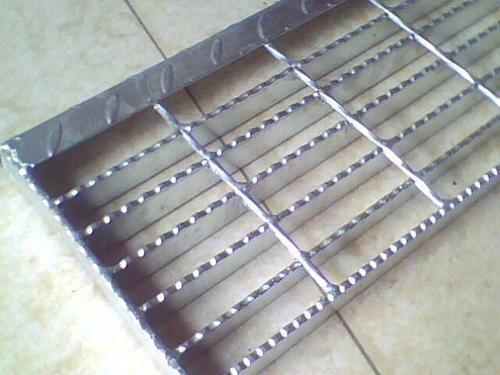 All the Galvanized Steel Grating Plate Offer are quality guaranteed. We are China Origin Factory of The Grille Manufacturers. If you have any question, please feel free to contact us.